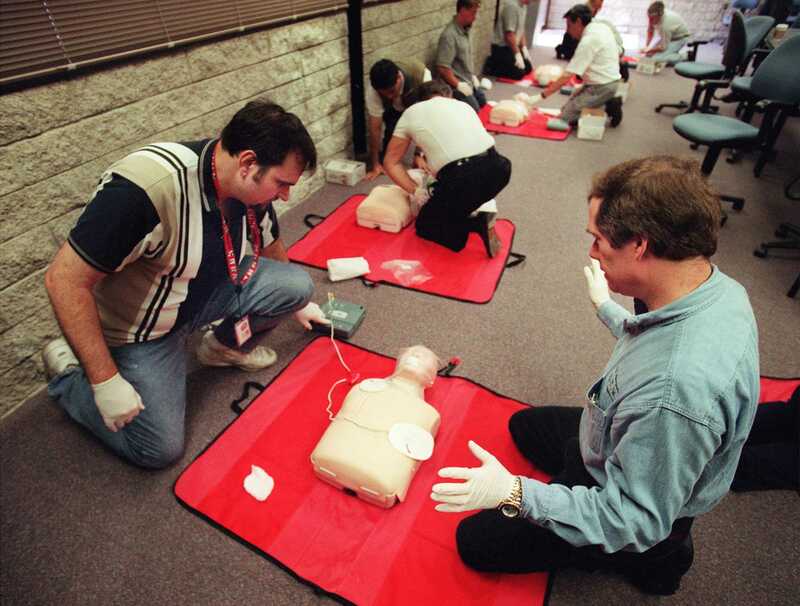 The Red Cross is providing a one-day first aid course on campus for $52. Any CSUN student can walk out educated and Aid/CPR/AED certified. Ryan Hairapetian, the aquatics coordinator, said that participants should expect a full day of instruction, usually held on Saturdays. Class begins at 9 a.m. and ends around 4 p.m. with a 30-minute recess for a pizza lunch. “The class covers adults, child and infant CPR, first aid and AED, which is the defibrillator to restart a heartbeat,” Hairapetian said. Students also will learn basic first-aid skills, how to help with sudden illness and ways to provide care to victims of concision and unconscious choking. The class is formatted in the same way a typical class is. There are seven different lessons taught through instruction and PowerPoint. Since there is an emphasis on note taking, students must bring school supplies like a notebook, pencils, and pens. There will be hands-on training throughout the day before having to test your skills. After completing the course, their Red Cross certification will last two years. The first class of the semester is on Aug. 25 in the Thousand Oaks room. If you are unable to attend, there are several others throughout the semester to choose from.